Warmest greetings and thank you sincerely for visiting the homepage of the United African University of Tanzania (UAUT). 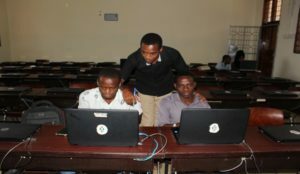 UAUT is the first united university established in Africa. 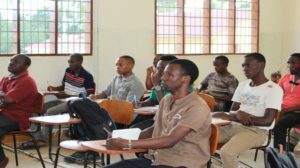 The campus is situated in Kigamboni Temeke district in Dar es Salaam,the economic capital of Tanzania in central eastern Africa. 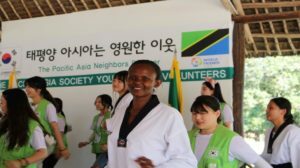 The university is established on 300 acres of property approved by Korea Church Mission, branch of Global Mission Society in Tanzania. The founding purpose of UAUT is to raise leaders of Tanzania with Christian virtues, wisdom and knowledge. We seek to train servants who can lead Tanzania and Africa with God’s vision, faith and passion. And we will foster core Christian individuals who can perform the grand mission of building Tanzania by being the salt and light in Africa and the world. UAUT will complete a model of coorperation between education research and industry through joining hands with businesses. The university also seeks to become a bridge between Republic of Korea and the Tanzanian government through cultural and technological exchanges. And UAUT will contribute to the development of ecofriendly economic growth by putting more focus on the conservation of environment. UAUT will bring together young students from Africa and other part of the world with the vision of changing Africa and the world. The professors and staff of UAUT are firmly determined to see this ultimate goal is achieved.